Nishimura & Asahi continues to provide high-quality legal support to Japanese companies through its representative offices in Beijing and Shanghai, and the China Practice Group at our Tokyo Office. The Beijing Representative Office is staffed by two Japanese lawyers, Azusa Nakashima and Masashi Shiga, who have extensive experience in corporate acquisitions, as well as in cross-border investments between China and Japan. We are focusing our efforts on strengthening and enhancing our cross-border capability with the aim of supporting Japanese companies to successfully invest in and expand across Asia. Our offices in Japan and our close ties with local law firms enable us to provide comprehensive, first-class and effective legal services. In recent years, with the focus of the global economy shifting to the east and with China at its center, we have seen the needs of clients in the region drastically increase. In view of this trend, in addition to our long-standing international practice, we are rapidly strengthening our presence in the Asia-Pacific region and in particular, China. Currently the China Practice has over twenty Chinese lawyers, Japanese lawyers and paralegals, proficient in Chinese, Japanese and English. With coverage in both mainland China and Hong Kong, the team cross-collaborates with other practices within the firm to provide a seamless and high quality service for Chinese and Japanese businesses. 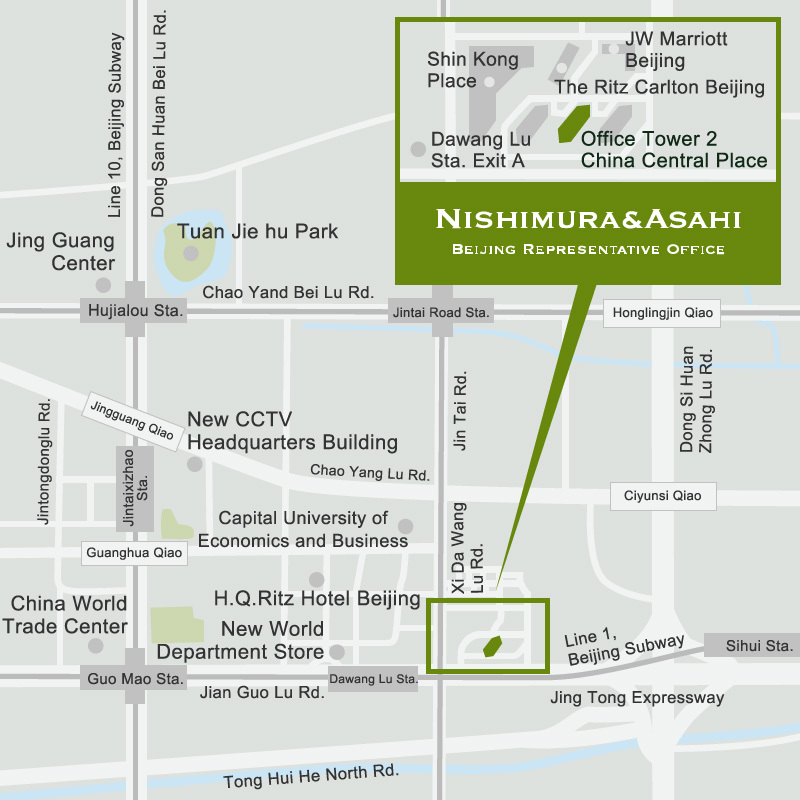 Nishimura & Asahi was granted licenses by the Ministry of Justice of the People’s Republic of China to open the Beijing and Shanghai representative offices in April 2010 and February 2014 respectively, which are staffed by two Japanese lawyers at each location. In addition, we have formed close ties with some of China’s leading law firms to provide a first-class service across a wide-range of practice areas.